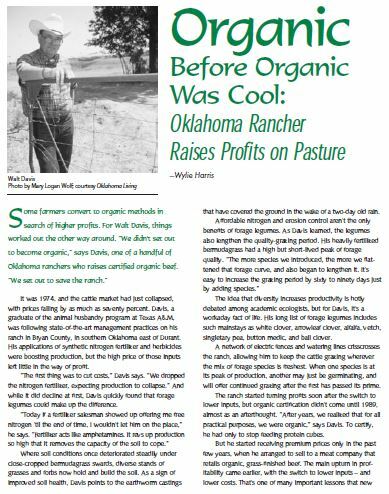 This article, from the summer 2004 issue of Field Notes, profiles Oklahoma rancher Walt Davis, who switched to low-input rotational grazing to reduce costs, only to find his pastures diversifying and his operation qualifying for organic certification. 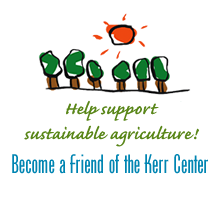 Kerr Center welcomed thirty gardeners, farmers and ranchers to the Pollinator Conservation Workshop. Anne Stine from the Xerces Society presented information about bees, other pollinator, beneficial insects, and how to identify and plant for these essential insects. David Redhage of the Kerr Center summarized the center’s pollinator project and led a tour of the center’s pollinator-friendly landscape.